Your tenant was such a nice lady. She always smiled and waved hello, and she paid her rent on time like clockwork for years. Now she’s moved out, and you’re about to get a glimpse inside your rental property for the first time in a while. When you open the door to your rental, the stench announces a landlord’s nightmare: your tenant was a hoarder. Now your property is jammed with rotting food, mildewing papers, filthy mattresses and other junk. Worse, your tenant kept animals in the apartment and failed to clean up after them. Now the huge, disgusting mess is your problem. Where do you start? Call Abbotts. 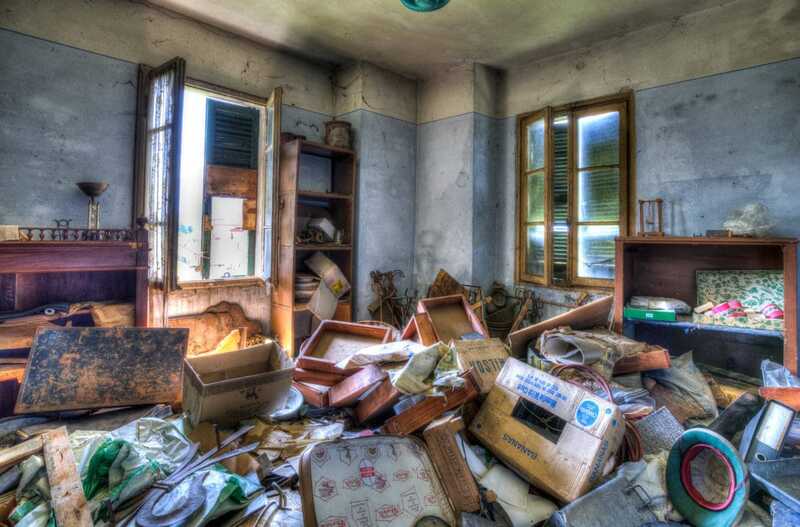 Because of the nature of hoarding, an alarming amount of bacteria, mold, and other pathogens could be present. This means to sufficiently and safely tackle the cleanup requires equipment and expertise far beyond the scope of garbage and junk removal service companies, not to mention relatives. You need true specialists with the protective clothing, experience, disposal sites, and more. When tenants leave your rental in poor condition or a family member needs help, call Abbotts, and get your property back to earning income quickly. Abbotts knows that disasters strike when you least expect them. We’re there for you no matter when you need us. We pride ourselves on an industry-leading 60-minute response time. We know your goal is to get your business or home back to normal as soon as possible. We’ll make that happen. Get a fast, 24 hr. emergency response. Click the button and get started immediately.